Rounding the corner of an entirely unassuming street in Harajuku and ducking under an unexpected marble archway, you’ll find a Grecian courtyard. Or at least, with the matching sandstone buildings and illuminated centerpiece fountain, this feels like the style being imitated, and the effect is convincing. Just to your right, after you’ve emerged in this beautiful square, you’ll find the entrance to Fatima Spa. Fatima Spa was opened in Tokyo 4 years ago, and as the smiling owner, Hitomi Hayashi, will proudly proclaim: it’s the only Moroccan Spa in Japan. Hayashi first fell in love with Arabic culture when she was a belly dancer, and her passion brought her to Egypt and Morocco many times. Most of the ornaments and furniture in the spa’s lobby are souvenirs of these trips. Atop each of the dark wood coffee tables is a stained-glass candle. A shelf next to reception also displays Moroccan beauty products for sale, such as rose water brought back from Morocco and argan oil made in Japan. 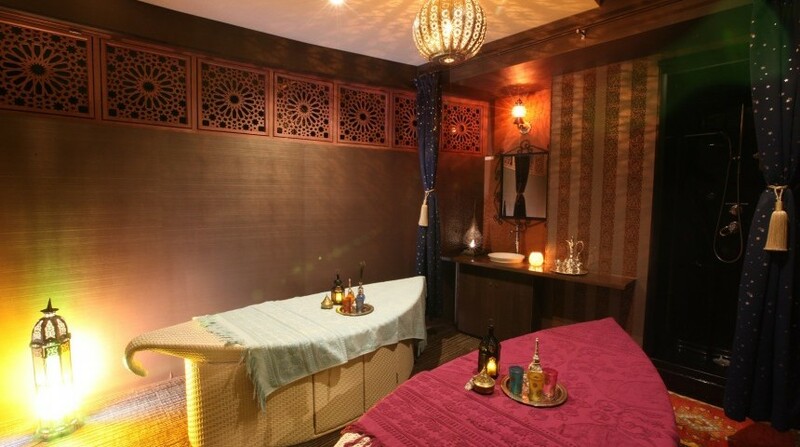 The spa offers an impressive array of aromatherapy and beautification services. 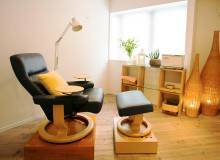 They have spa standards like foot reflexology, massages and facials, as well as more unconventional choices like acupuncture or a wide assortment of “aesthetic” services popular among Japanese guests. These include intense body kneading to flatten stomachs, bone massages to reduce puffiness and improve bone structure, and LED-assisted anti-aging facials. 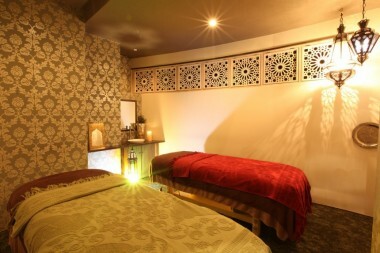 The highlights, however, are the special Moroccan treatments, like Hamman (steam bed). In the Hamman room are two oval-shaped beds that could only be described as “cocoon-like,” although in truth the collapsible black covering rests above you without strapping you in. Guests lie in these comfortable beds for 60 minutes bathed in soft steam. In the final 15 minutes, guests can choose from receiving a head massage, shampoo massage or foot massage (we recommend shampoo). In other more standardly equipped rooms, facials and massages are done. The masseuse’s movements are gradual and deliberate, entirely relaxing and effective while still being mild enough for the most sensitive patient. The décor of the entire spa clearly reflects an artisanal, bohemian style inspired by Morocco, but carefully blended with the simplicity of Japanese aesthetic. There’s also a distinctly Japanese attention to detail throughout the experience. For example, spa patrons are served not one but three drinks during the course of their stay: hot or cold tea during reception, a special water to nourish you during the Hamman and grapefruit juice for when your treatments are over. 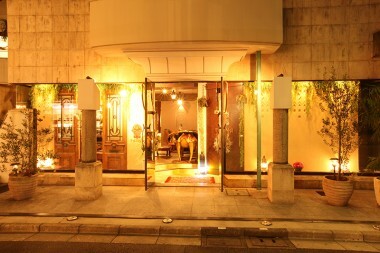 Everything done at Fatima Spa speaks of expertise and quality, but it’s the originality of their style and services that set it apart from other Tokyo spas.